The 46.8 metre Heysea 152 has been listed for sale by Yachting Partners International (YPI). The Heysea 152 has an axe-bow design and a fully customisable layout which could accommodate up to 10 guests and nine crew. With a build time of under two years the Heysea 152 will feature electronics, equipment and engineering provided by recommended European or American suppliers. YPI Group CEO and head of YPI Asia, Laurent Debart, added that Heysea offers clients a quality product and finish “at a fraction of the cost” of similar builds in the United States or Europe. 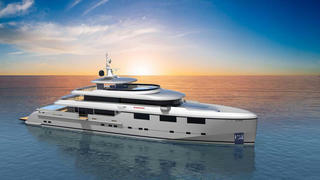 The Heysea 152 has an asking price of $18,600,000.